A U.S. District Court in Philadelphia, Pennsylvania charged a DOT-certified medical examiner with making a false writing or document and aiding and abetting others in the making of a false writing or a document that contained a materially false statement. The case alleges that in April 2017, the doctor allowed his staff to conduct a DOT physical examination on a patient seeking to operate commercial motor vehicles (CMV). 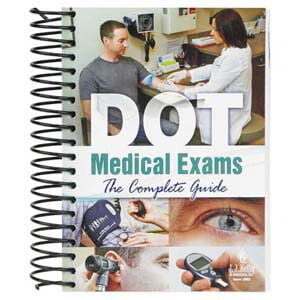 The staff members, who were not certified medical examiners, completed a DOT medical examination report and issued a DOT medical examiner’s certificate under the doctor’s name and his National Registry of Certified Medical Examiners number. The case alleges that the doctor knew the certificate and report were false because he did not perform the examination. Federal Motor Carriers Safety Administration (FMCSA) regulations require that drivers who engage in interstate commerce be physically able to safely operate a CMV. Only FMCSA-registered medical examiners can perform medical exams and issue DOT medical examiner’s certificates.